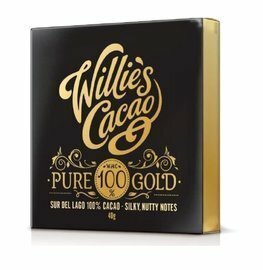 100% chocolate ‘Pure Gold’ from Willie’s Cacao. 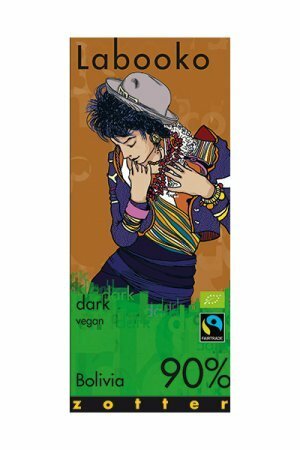 Bar of 100% cocoa, without additives. 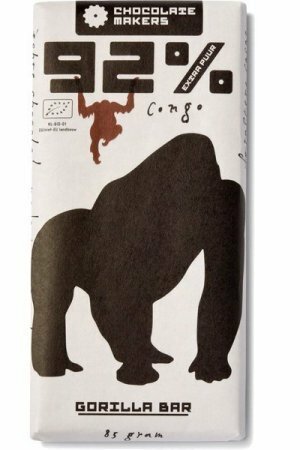 Made from cocoa from Sur del Lago, Venezuela – south of the Maracaibo lake. 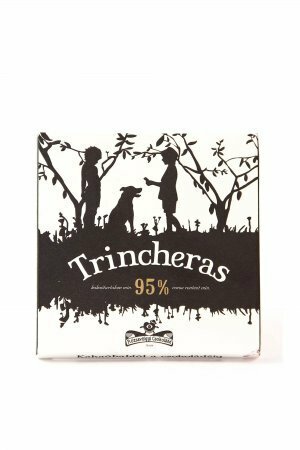 Bean to bar from England, made by Willie’s Cacao. 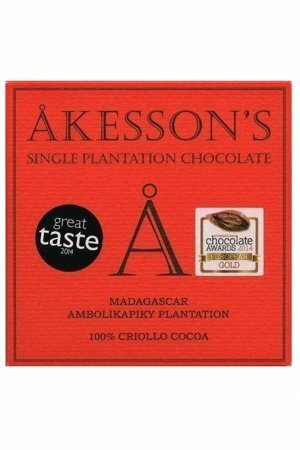 Taste description of the maker: silky smooth flavors with nutty taste notes. 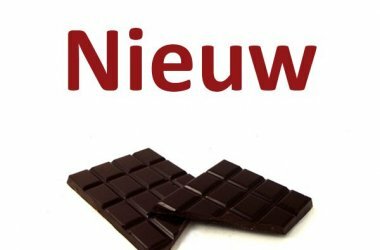 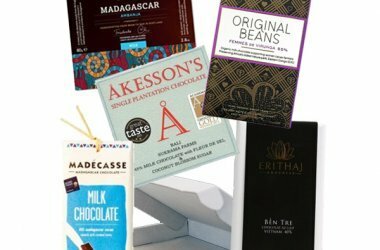 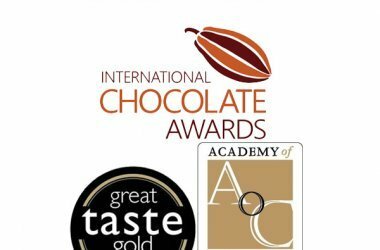 Definitely a nice chocolate bar to add to your collection if you like the very best chocolate – maybe not the ultimate 100% chocolate but definitely a nice item for its price!